We are confident that when we hear from you, it will be to rave about a dining experience you recently had, plan an upcoming celebration, make a reservation or place an order to go. We welcome your calls, visits, comments, and even complaints, though happily, those are rare. 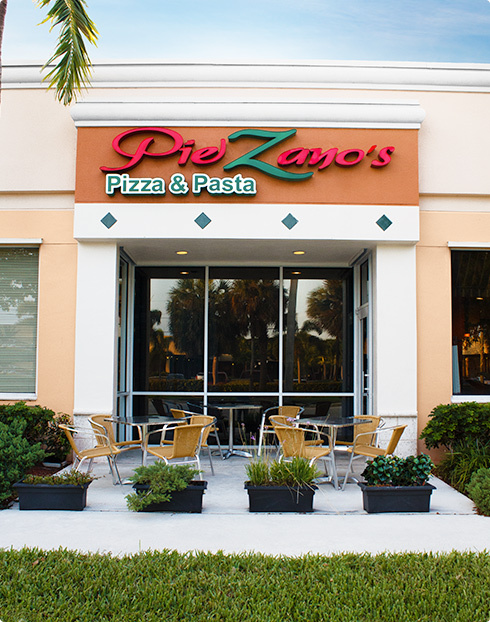 We are conveniently located at 4131 North Federal Highway at the corner of Spanish River Boulevard in the Publix Shopping Center, Boca Raton. We look forward to seeing you soon, and the pleasure of serving you, always. Give us a call at 561-347-9777. Our fax is 561-347-9724. From our kitchen to your table, wherever that may be, we strive to deliver food that will exceed your expectations and delight your appetite time after time. ©PieZano's Pizza & Pasta 2016. All rights reserved.